Our expertise and technology allow the production of many different types of cocoa mass. We produce several single origin products which are produced from special, flavour cocoa beans, sourced from anywhere in the world using the capabilities of our parent company, ECOM Agroindustrial. Dutch Cocoa’s processing experience enables us to optimize the particular organoleptic properties of these special origins in order to meet our customer’s target profile. 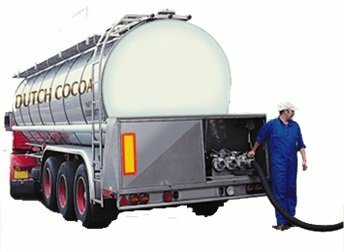 As with all of our cocoa mass products, delivery is available in bulk liquid tankers, blocks of 25 kg as well as “kibbled” cocoa mass flakes. Our process allows Dutch Cocoa to produce a very fine grind of cocoa mass that can be easily added to the conch during chocolate production, especially when delivered in flake form. Our cocoa mass products are incorporated into many fine chocolate bars, especially where a high cocoa content is required. Other applications include brownies, muffins, and ice cream. Our cocoa powders are used as a primary food ingredient, flavour, flavour enhancer and primary colour in hundreds of food applications, e.g. chocolate, dairy, beverages as well as baking applications. We have developed a wide range of over 150 different powder types, both natural and alkalized versions, with fat contents ranging from 10% to 24%. This range is accomplished through selection of raw materials in combination with our processing expertise. Dutch Cocoa produces many types of cocoa powder varying in colour, from medium-brown to darker reddish cocoa powders. We further distinguishes ourselves by producing single origin powders from South-American origins such as Peru, Dominican Republic, and Ecuador. We are confident that we can match any type of cocoa powder our current and future clients may be using. If it is not already in our extensive portfolio we will tailor make a powder for you within 2 weeks. We offer cocoa powder in 25 kg bags, 50 lbs, and 800 kg big bags. In addition we can supply our cocoa powder in 5 kg bags and retail cases of 250 g.
Our pure, prime, pressed (PPP) cocoa butter can be delivered both natural and deodorized with a neutral flavour, or with a specific flavour required by our customers. The cocoa butter is available in liquid bulk transport and in cartons of 25 kg each. Cocoa butter finds its application generally in food (chocolate applications). It is also used in non-food areas such as personal care and cosmetics. Of course we are very familiar with specific details you may require such as Shukoff values and crystallisation curves. Contact us with your specific needs and we will surely be able to assist. Using Dutch Cocoa quality powders as a base we are able to offer you high quality powder mixes with sugar, vanillin, soya lecithin, sun flower lecithin or any recipe you may require. We can agglomerate in granules for your vending mix outlet or even for hot soluble retail drinks. Contact us for samples and taste these well balance cocoa mixes. Our famous brand “Blooker” cocoa powder celebrates its 200 years anniversary in 2014. As one of the oldest cocoa powder brands it is still found thriving in most important supermarket chains in Holland. Worldwide this powder is used for both baking and hot chocolate making. Below you will find one of its many recipes. We are able to also pack your own branded cocoa powder in 250 gr retail packs. Contact us with your ideas and we will be happy to show you various alternatives.